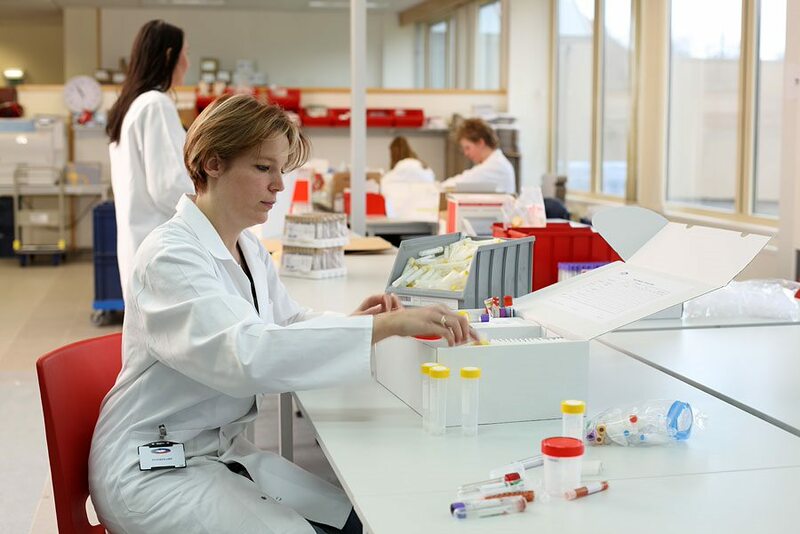 As your trusted global partner for biological sample logistics, CSM ensures that the best-integrated solutions for designing and supplying, collection kit building, transporting, storage, and electronic verification processes are readily available and cater to the exact biomedical supply needs of your study. This process allows for you as the client to limit risks, improve traceability, and efficiently manage your budget for biological sample storage logistics. Since 2000, CSM’s biological sample management team has managed over 750 projects and supplied over 30,000 sites with the design and assembly of sample collection kits. Our customized design of all required collection material includes the full documentation process for lab manuals, labels, and shipping documents. Additionally, our biological sample management service provides ambient and frozen shipping boxes compliant to the IATA requirements along with combined and cooled shippers. Committed to always putting your interests first, CSM’s clinical support services offer the design and assembly services for sample collection kits. With one contract and one solution - from the design and assembly of sample collection kits to the logistics surrounding your biological samples - CSM supports the management of your phase I through phase IV clinical trials. CSM delivers outstanding quality with an 18+ year track record of inventory management and can consolidate biological samples from disparate central laboratories and clinics.